What is the future of Smart Cities? The San Raffaele Scientific Institute (OSR)’s eServices for Life and Health unit in Milan strives to explore and push the boundaries of the Smart City concept through the ideation and implementation of smart services. In order to examine the dynamics between users, service and touchpoints, OSR decided to develop a methodology within a Living Lab framework and set up the City of the Future Living Lab. Living Labs are innovation environments that focus on user communities embedded within “real life” situations and environments, where the fundamental concept is to gain direct and unfiltered access to users’ ideas, experiences, and knowledge, based on their daily needs and desire so as to design products, environments, interactions and services that truly respond to their aspirations and requirements. City of the Future Living Lab is a member of the European network of Living Labs, ENoLL. It is a lab where tomorrow’s technologies and services are conceived, designed, developed and evaluated with users’ active participation. In such a fertile setting, research is brought out of traditional laboratory contexts and populates an ecosystem that grows and evolves day after day, offering future-looking experiences. In order to create services that can truly help promote healthier and more eco-sustainable life-styles (both individual and collective), it is absolutely necessary that any innovation process be open and that its creative phases are guided directly by the user. 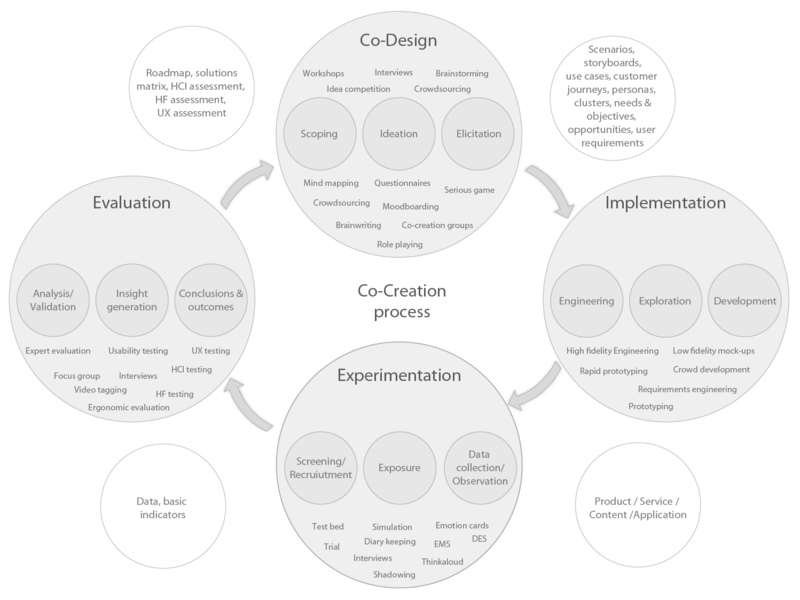 This process is called “Co-Creation”.